Ces renseignements sont en cours de traduction. Pour le moment, veuillez communiquer avec le coordonnateur des services en français du ministère pour obtenir de l’aide. The Deh Cho Bridge is a 1.045 kilometre cable-stayed bridge that crosses the Mackenzie River near Fort Providence on Highway 3. The bridge was opened to the public on November 30, 2012 after four years of construction. Before the bridge was built, people and vehicles crossed the Mackenzie River using the MV Merv Hardie ferry in the summer and the Mackenzie River ice crossing in the winter. A fixed bridge has eliminated lengthy and uncertain disruptions during winter freeze-up and in the spring during break-up. 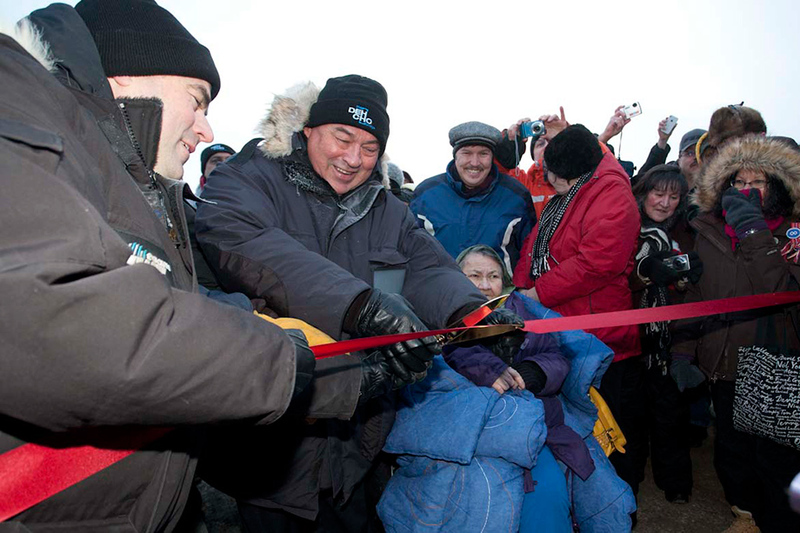 The GNWT signed a Concession Agreement with the Deh Cho Bridge Corporation (DCBC) on September 28, 2007 to design, construct, finance, and operate the bridge. Construction of the bridge cost $202 million. The bridge was designed to last 75 years or more. A temporary bridge was built on each side of the river to facilitate the construction of the eight concrete pillars that would run the width of the Mackenzie River. The Deh Cho Bridge provides northern residents and visitors with a safe, reliable all-weather connection across the Mackenzie River, 24 hours per day, 365 days of the year.